We are pleased to announce that we are proud sponsors of the Family Zone at the Osberton International Horse Trials 2018. 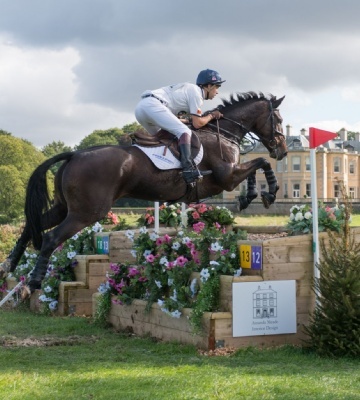 The Horse Trials return to the beautiful Nottinghamshire countryside from 26 – 30th September and the event will see the world’s top riders battling it out in the British Eventing Young Horse Championships. Osberton is renowned for unveiling future Olympic champions and International superstars as young horses are put to the test in dressage, showjumping and cross country. As official sponsors of the event, the first 75 adult tickets that are sold via the Osberton website are FREE, using the code WC18. Every ticket sold after the first 75 will receive a 30% discount off the gate price. These discounts will only be applicable on adult tickets. A £1.50 booking fee applies. As well as eventing action, a multitude of family attractions will also be on offer at Osberton. Brand new for 2018 will be the Worskop College and Ranby House Family Zone, packed full of games & entertainers, a fun fair and bouncy castles. If that isn’t enough, there will be face painting & balloon modelling too! Adults can spend some time browsing through the Shopping Village or treat themselves to a refreshment from the many bars and food outlets. The family dog can even get in on the action with a dog agility course and show! Head over to: https://bede.ticketsrv.co.uk/ and enter code WC18 at the checkout. Remember, the first 75 adult tickets are free, so hurry! Tickets purchased after this will receive a 30% discount. (Adult tickets only). A £1.50 booking fee applies. We also have a VIP package to giveaway over on our Facebook page, so make sure you are following for your chance to win!